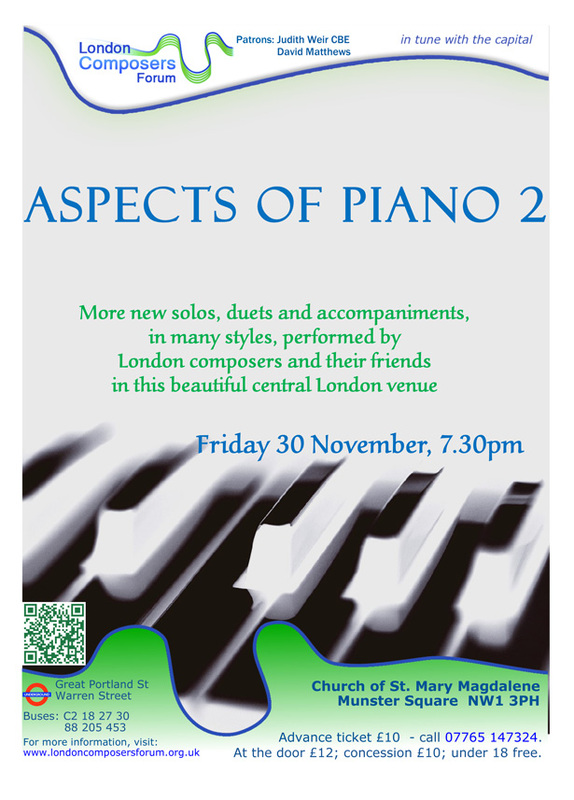 I will be playing, with other performers, my own compositions and other contemporary works for one and two pianos, in a concert on Friday 30 November at 7:30pm, at the Church of St Mary Magdalene, Munster Square, London NW1 3PH. The other composers represented are Alun Grafton, Alan Hilton, Sven Bale, Elizabeth Sharma, Philip Jones, Nigel Patterson, Martin Jones, Michael Regan, Mark Pampel and alison Doubleday. There will be another chance to hear my ‘Grand Concert Rag’ Marta, duet version, played by the dedicatee, Marta Mitchell, and myself. 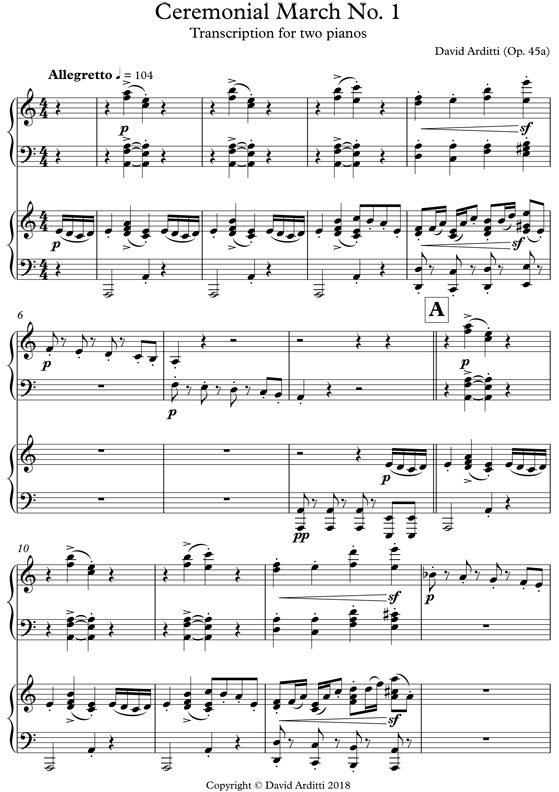 The ‘grand finale’ will be a two-piano transcription of my orchestral piece Ceremonial March No. 1, specially written for this occasion, played by myself and Alison Doubleday. We will have the use of a splendid Bösendorfer 280VC piano (unique in the country), and an almost equally splendid Yamaha concert grand, both on loan from Marksons Pianos. The two together should be a spectacular sound in the acoustic of this fine, spacious Victorian Gothic church. Tickets are £12 or £10, available at the door or in advance. Here’s the poster, and a little preview of the two-piano Ceremonial March.